Product categories of Stainless Steel Precision Casting, we are specialized manufacturers from China, Stainless Steel Precision Casting, Stainless Steel Investment Casting suppliers/factory, wholesale high-quality products of Stainless Steel investment Casting R & D and manufacturing, we have the perfect after-sales service and technical support. Look forward to your cooperation! 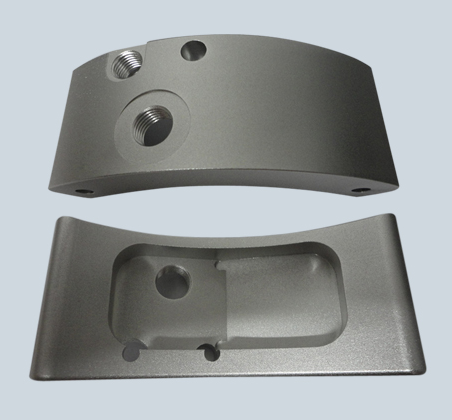 Stainless Steel Precision Casting or Stainless Steel investment Casting, silica sol process. It is a casting process with little or no cutting. Cast stainless steel is an excellent process technology in the foundry industry. Its application is very extensive. Stainless Steel Cast not only applies to the casting of various types and alloys, but also produces the dimensional accuracy of castings. The surface quality is higher than that of other casting methods, and even castings that are difficult to cast and which are difficult to cast have high temperature resistance and are not easily processed can be cast using Investment casting. In wax pattern process,we mix stearic acid and paraffin wax in wax pattern making,as you know,it is better than polyethylene,and the wax deformation is small. In shell hardening process,we use aluminium chloride to harden the shell.This can make the shell so hard that it can`t be distorted,at the same time the bug which the casting may have will be decreased.If there are letters or numbers in it,they will be much clearer. In dewaxing process,about 95% of the castings suppliers adopt the original water dewaxing technics,but we using the advanced steam dewaxing technics,which we are very proud of.This can effectively avoid the air-hole and sand-hole,making the casting look much nicer. In smelt process,we use middle frequency furnace,avoiding the emergence of the oxide; in molten steel control part,we use Germany-imported direct reading spectrometer machine,assuring its quality before the molten steel out of the furnace.During this process we use ERP production and management software to get the feedback information. In shell-knock out process,we have special machines,which can decrease the hitting and knocking, easily made by manual shell knocking out. In shot-blasting process,we have crawler-type and hanging shot-blasting machine,with steel shot 0.5-0.8,making the products smooth.Of course,if the customer wants it look much nicer,we also can carry out sand-blast treatment. In heat treatment process,we use electric furnace,and adopt double-temperature control in order to heat the products equally.As a result, the products will have great metallurgical structure. Products in stainless steel cast factory divide into Pump Valve Accessories Casts, food machinery casts, and architectural hardware casts.